Each nitrogen atom has three bonds (either N-H or N-N bonds), and each hydrogen atom is joined to a nitrogen atom (H-N bonds). A series of linked nitrogen atoms is known as the nitrogen skeleton or nitrogen backbone. 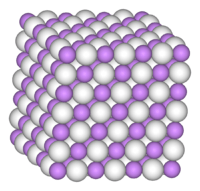 The number of nitrogen atoms is used to define the size of the azane (e.g. N2-azane). 3. There is no limit to the number of nitrogen atoms that can be linked together, the only limitation being that the molecule is acyclic, is saturated, and is a hydronitrogen. Azanes are reactive and have significant biological activity. Azanes can be viewed as a more biologically active or reactive portion (functional groups) of the molecule, which can be hung upon molecular trees. n, n > 2) wherein the nitrogen backbone is linked so as to form a loop. According to IUPAC definitions, the former two are azanes, whereas the third group is called cycloazanes. Saturated hydronitrogens can also combine any of the linear, cyclic (e.g. polycyclic), and branching structures, and they are still azanes (no general formula) as long as they are acyclic (i.e., having no loops). They also have single covalent bonds between their nitrogens. Azanes with more than three nitrogen atoms can be arranged in various different ways, forming structural isomers. The simplest isomer of an azane is the one in which the nitrogen atoms are arranged in a single chain with no branches. This isomer is sometimes called the n-isomer (n for "normal", although it is not necessarily the most common). However the chain of nitrogen atoms may also be branched at one or more points. The number of possible isomers increases rapidly with the number of nitrogen atoms. Due to the low energy of inversion, unsubstituted branched azanes cannot be chiral. In addition to these isomers, the chain of nitrogen atoms may form one or more loops. Such compounds are called cycloazanes. The IUPAC nomenclature systematically naming nitrogen compounds by identifying hydronitrogen chains, analogous to the alkane nomenclature. Unbranched, saturated hydronitrogen chains are named with a Greek numerical prefix for the number of nitrogens and the suffix "-azane" for hydronitrogens with single bonds, or "-azene" for those with double bonds. Straight-chain azanes are sometimes indicated by the prefix n- (for normal) where a non-linear isomer exists. Although this is not strictly necessary, the usage is common in cases where there is an important difference in properties between the straight-chain and branched-chain isomers. 8; etc. The prefix is generally Greek, with the exceptions of nonaazane which has a Latin prefix, and undecaazane and tridecaazane which have mixed-language prefixes. Ammonia is explosive when mixed with air (15 – 25%). Other lower azanes can also form explosive mixtures with air. The lighter liquid azanes are highly flammable; this risk increases with the length of the nitrogen chain. For more details on organoamines, see Amine. The organoazanes are a group of chemical compounds derived from azanes containing one or more organic groups. They are a subset of the general class of organonitrogens, although the distinction is not often made. As with organoamines, organohydrazines are a subsets of organoazanes, derived from ammonia, and hydrazine, respectively. In addition to amines and hydrazines, organoazanes also include compounds such as, hydrazones, imines, nitriles, and nitrosos, but excludes compounds such as, but not limited to azo compounds. monomethyl hydrazine, where one of the hydrogen atoms on the hydrazine molecule has been replaced with a methyl group (CH3). 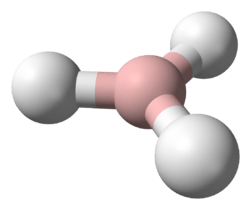 Due to the symmetry of the hydrazine molecule, it does not matter which hydrogen atom is replaced. It is sometimes used as a rocket fuel. 1,1-dimethylhydrazine (unsymmetrical dimethylhydrazine, UDMH) and 1,2-dimethylhydrazine (symmetrical dimethylhydrazine) are hydrazines where two hydrogen atoms are replaced by methyl groups. UDMH is easier to manufacture than symmetrical dimethylhydrazine is, and UDMH is a fairly common rocket fuel. gyromitrin and agaritine are hydrazine derivatives found in the commercially produced mushroom species Agaricus bisporus. Gyromitrin is metabolized into monomethyl hydrazine. Isoniazid, iproniazid, hydralazine, and phenelzine are medications whose molecules contain hydrazine-like structures. 2,4-dinitrophenylhydrazine (2,4-DNPH) is commonly used to test for ketones and aldehydes in organic and clinical chemistry. 2) and hydrazinyl. This group is generally abbreviated with the symbol N.
↑ Note that "-yne", which would be used for those with triple bonds, is absent because the only member of that series, N2, is not a hydronitrogen.